Welcome to the ultimate Werewolf Guide for The Elder Scrolls Online! This Werewolf Guide will explain all mechanics that are related to Werewolf both for PvP and PvE. We will start with the basics such as skills and passives and then move on to the more advanced things like effects & Champion Points. One thing is for sure, Werewolves are powerful creatures that can tear through enemies in seconds! Werewolves are powerful creatures, yet you do not see many of them, why? With the right build and setup Werewolves can be both very powerful in PvP and PvE due to their brute force and strength. However, being that dangerous and usually bigger than most enemies, players will go straight for you because you are the most dangerous enemies for them. Therefore, if you are new to Werewolf, the journey can end quite fast, it will take time till you master the transformation and act like a true Werewolf master! You can resurrect other players while transformed. You can use Synergy abilities while transformed. You can use Siege Weapons while transformed. Transform into a beast, fearing up to 3 nearby enemies for 4 seconds. While transformed, your Light Attacks cause enemies to bleed for 990 Physical Damage over 8 seconds. While slotted, your Stamina Recovery is increased by 15%. Summon 2 wolf companions for the duration of your transformation. If killed, they will return after 16 seconds. This is a very powerful morph, the two extra wolf companions can deal a lot of damage and on top of that they can also be targeted by enemies, thus making it harder to hit you. Transform into a beast, fearing up to 3 nearby enemies for 4 seconds. While transformed, your Light Attacks cause enemies to bleed for 1390 Physical Damage over 8 seconds. This morph of the ultimate deals more bleeding damage, which ignores resistances. This can be very powerful in PvP against tanky enemies. Pounce is your gap closer in Werewolf form, basically making it impossible for the enemy to run away unless he tries to line of sight you before you can jump towards him. I recommend using Brutal Pounce, as it also adds splash damage. The damage of this Pounce and both morphs is quite low, try to not use it unless necessary. Invoke the Huntsman’s blessing to heal yourself for 45% of your Max Health and gives you Major Brutality, increasing your Weapon Damage by 20% for 20 seconds. Invoke the Huntsman’s blessing, healing you for 57% of your Max Health. Hircine’s Bounty is one of the most important abilities as Werewolf, because this is your primary heal, I do recommend using Hircine’s Fortitude for the extra healing. Hircine’s Rage can also be useful, but usually you can get access to Major Brutality from potions, therefore the extra heals from Fortitude morph are way more useful. Roar is your main way of interrupting or disrupting enemies via fear, the skill is very powerful especially because it is instant cast and fears up to 6 targets. Deafening Roar is definitely the better choice due to the application of Major Fracture on the enemy for 10 seconds. Crush enemy with a deafening howl, dealing 191 Physical Damage . Allies targeting the enemy can activate the Feeding Frenzy synergy, which grants them unlimited uses of Empowerfor 5 seconds, increasing their damage done with Light Attacks by 40%. Piercing Howl and both morphs deal an insane amount of damage, it is basically an instant Wrecking Blow. However, keep in mind this ability costs a lot of stamina and therefore should only be used in the right moments rather than being spammed. PvP wise I highly recommend the Agony morph due to the 30% extra damage on feared targets. If you play in a team you can also use the Despair morph in PvP, the extra Light Attack damage will be going nuts. In PvE I recommend using the Despair morph because of the Empower synergy that can be activated. Maul enemies in front of you with your tainted claws, dealing 452 Physical Damage and an additional 1435 Disease Damageover 10 seconds. Also afflicts enemies with Major Defile, reducing their healing received by 30% and Health Recoveryby 30%. Maul enemies in front of you with your tainted claws, dealing 425 Physical Damage and an additional 1435 Disease Damageover 10 seconds. Also restores your Health, equivalent to 50% of the damage inflicted. Infectious Claws is a damage over time ability that deals good damage. Both morphs are very powerful, one applying Major Defile and the other one restoring health based on damage inflicted. I always recommend using the Claws of Life morph due to the extra healing. If you hit 2-3 people with this, the healing you receive from the damage caused will be crazy and it will be very difficult to even scratch you! One must not forget, the most powerful tool Werewolves have are their claws. The Light and Heavy Attacks inflict an insane amount of damage. Light Attacks are the main source of damage for Werewolves. The Light Attacks deal a lot of damage and also keep inflicting bleeding on enemies and keep procing the enchantments you have on your weapons. With the Pursuit passive, Werewolf Heavy Attacks restore an additional 100% stamina if you successfully hit the enemy with the Heavy Attack. You should always use Light and Heavy Attacks in combination with abilities to see the true power of Werewolves. Increases Heavy Attack Stamina return by 100%. Increases time in werewolf form by 4 seconds every time you deal damage. This effect can occur once every 5 seconds. Allows player to turn another player into a Werewolf once every 7 days by returning to the Werewolf ritual site. Players infected with Sanguinare Vampiris cannot be turned. Increases Weapon Damage by 18%. Increase your Spell and Physical Resistance by 10000. Reduce the cost of remaining in werewolf form by 20% for each transformed werewolf in your group, including yourself, up to a maximum of 80%. The Blood Rage passive lets you stay in Werewolf for a very long time as long as you keep attacking enemies. Every 5 seconds you get an extra 4 seconds added to your Werewolf timer. In addition, devouring enemies also increases your Werewolf timer, each second gives you an additional 3 seconds and you can devour enemies for a total of 4 seconds. Also, the Call of the Pack passive reduces the cost of remaining in Werewolf form by 20% for each transformed werewolf in your group, including yourself, up to a maximum of 80%. So if you play together with someone else you can stay even longer in Werewolf form! When you are a lowbie Werewolf, it is just important that you keep devouring enemies to stay for longer in Werewolf form. Werewolves get a lot of extra perks while transformed. They are super tanky thanks to the huge boost to Physical and Spell Resistance, fast because they get 30% increased Sprinting Speed, have more stamina recovery and get a lot of extra maximum stamina. Set bonus and weapon enchantments and active buffs that are applied in human form also carry over to Werewolf form, like already explained above. Being one of the most powerful creatures on the battlefield also has disadvantages, one of them being the size of the Werewolf. Werewolves are way bigger than any of the playable races, therefore once you transform most enemies will start focusing you. Werewolves also take 25% extra damage from Poison Attacks and trust me, there is a lot of Poison damage in Elder Scrolls Online. In addition, Werewolves also take additional 20% damage from the Fighters Guild abilities. Another issue, not necessarily a weakness but more of an annoyance, the Werewolf abilities cost a lot of stamina, so you really have to learn how to sustain in the Werewolf form. There is a lot of good options for a Werewolf setup in terms of what race you can choose. I also recommend checking out my Race Guide for Elder Scrolls Online. Orcs are one of the strongest stamina race both for pve and pvp. 2000 Max Stamina and 256 Weapon Damage both scale up even further with modifiers and on top of that they also get a 1000 Health boost, which means they can run Gold sustain Food and still have a decent amount of health! Other than that they also benefit from faster running speeds which makes them very fierce in pvp. Unflinching: Grants 1000 Max Health and heals you for up to 600 when you deal damage with a weapon, with a 4 second cooldown. Redguards are the masters of sustain. Their cost reduction passive on all weapon abilities and their Adrenaline Rush passive increase your sustain more than any other race. It can also be wise to use a more weapon abilities focused setup as a Redguard to benefit from the cost reduction even more. Also do not forget, the cost reduction also affects your weapon ultimates! Martial Training: Reduces the cost of your Weapon abilities by 8%. Reduces the effectiveness of Snares applied to you by 15%. Bosmer racial passives have a strong focus on stealth based gameplay style. 2000 Max Stamina and 258 Stamina Recovery that can be further increased with modifiers. They are also very good at detecting enemies thanks to the increased detection radius. On top of that they also gain faster movement speed and increased penetration after a dodge roll, which makes them especially dangerous on stamina Nightblades. Resist Affliction: Increases your Max Stamina by 2000 and your Poison Resistance by 2310. You are immune to the poisoned and status effect. Hunter’s Eye: Increases your Stealth detection radius by 3m. After you use Roll Dodge you gain 10% Movement Speed and 1500 Physical and Spell Penetration for 6 seconds. Khajiit racial passives are both good for magicka and stamina based setups. Both stamina and magicka benefits from the extra Critical Damage buff. On top of that they also get 825 Max Health, Magicka and Stamina. Which is not a lot but again, that way you can run Gold sustian Food and get pretty good sustain without having too low health or resources. Khajiit are also the prime race for gankers, as the Critical Damage modifier really pushes up the critical hits on enemies. They are also harder to detect than other races due to the detection radius reduction by 3m. Feline Ambush: Increases your Critical Damage and Critical Healing by 10%. 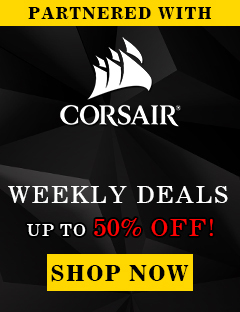 Reduces your detection radius in Stealth by 3m. Dunmer racial passives let you play both Stamina or Magicka based setups. They are not really best at playing stamina or magicka, but again you can easily swap between each of those without having to race change. If you want to play a hybrid setup, then Dark Elves are a very good choice because of the double stats they get. Argonian racial passives are focused on healing and tanking. Increased resource return when you drink a potion, increased max health, increased disease resistance and increased healing done. Argonians are often used on tank setups due to their passives. The Resourceful passive also makes them one of the best races in order to improve sustain tremendously. Imperial racial passives are focused on stamina and health. Increased Max Health and Max Stamina gives them a big extra piece of resources compared to other races. Having that much Health makes it possible to run Gold sustain Food, which will make resource management easier. They also get 3% cost reduction, which applies to everything, including Ultimates and Werewolf form. Red Diamond: When you deal Direct Damage, you restore 333 Health, Magicka, and Stamina. This effect has a 5 second cooldown. Grants 3% cost reduction to all abilities. Nord racial passives have a strong focus on tanking based passives. Increased Max Stamina and Health, extra Physical and Spell Resistance and also more Cold Resistance. On top of that they also get one of the most important passives, extra Ultimate regeneration. Ultimate regeneration is always important, be it in PVP or PVE. What Race for PvP And PvE? PvE wise Orc is by far the best choice as both max stamina and max weapon damage get even further increased in Werewolf form and Orc both has passives that increase those two on top of some extra health. PvP wise Orc is definitely also one of the best choices due to the same reasons as in PvE and on top of that you also gain even faster speed because of the Orc passive, making it almost impossible to run after an Orc Werewolf! All Races have there strengths, but Orc is definitely ahead of most other races for Werewolf setups. Some classes are better suited for Werewolf, here you can find a list of what passives and abilities you benefit as a Werewolf from. Pre-buffing is a very powerful tool, make sure to use all your utility buffs before you transform, because those effects will stay on you even in Werewolf form for their duration. Most classes have good perks that you can use successfully in combination with Werewolf. +20% increased resurrection speed. Resurrected allies revive with 100% more health. PvP wise Sorcerers synergize the most with Werewolf due to cheaper Ultimate cost, Ability cost reduction and increased physical damage. In addition, abilities like Hurricane and Critical Surge also carry over to Werewolf if you pre-buff the abilities and give you additional healing and damage. PvE wise Templars and Sorcerers have the best offensive perks. However, like mentioned before, all classes are suitable for Werewolf. Wardens for example do not have a lot of extra perks in Werewolf form, but you will be able to gain ultimate in human form faster than any other class due to Shimmering Shield which applies Major Heroism so your Werewolf Ultimate will be ready to go in no time. What Effects are active in Werewolf? There are a lot of effects that carry over to Werewolf form. Champion Points are an important part of the Werewolf, they can really increase your overall damage and tankiness by a lot. I do recommend checking out each build that is meant to be played with Werewolf, because there you can find the optimized CP or Werewolf. In general, Werewolves have a lot of direct damage and light/heavy attack damage, therefore it might be wise to invest in perks that boost those offensive stats. There is a lot of very good sets for Werewolves, I will list a few here, those are only a few, there are way more good sets and set combinations available. Draugr Hulk is the set that provides you with the highest maximum stamina stats out there, perfect for Werewolves. Stacking a lot of max stamina in combination with the extra 30% Stamina you gain in Werewolf form leads to some crazy numbers, I have seen stats higher than 70k stamina on certain builds. Bone Pirate's Tatters in combination with Dubious Camoran Throne Drink also offers both maximum stamina and stamina recovery which can lead to some serious balanced stats for both recovery and overall maximum stamina. Shacklebreaker is also one of the more popular sets, especially in non champion point scenarios as it provides both a decent amount of stamina and magicka. Werewolves both benefit from both stats, stamina for sustain in general and magicka for utility abilities such as Hircine’s Rage. Blood Moon is one of the most powerful set tailored specifically for Werewolves. Like already explained, Werewolves deal an huge junk of their damage from Light Attacks and with this increased Light Attack speed you tear through tanky enemies like paper. You have to know your time window tho as the proc is only 8 seconds long. Aspect of Mazzatun is good if you want to have reduced Ultimate cost and you also gain a small amount of Weapon Damage (154). However, keep in mind that you do not often immediately transform into Werewolf when your ultimate is about to be ready, therefore there are better options than this set. In PvP or PvE it often happens that you reach 400+ ultimate to transform in the right moment, then basically rendering this set useless. Green Pact adds a lot of extra health and health recovery to your stats, especially useful if you combine it with Troll King to gain a lot of health recovery below 60% health. Having a lot of health is nice as Werewolf because your main heal scales of maximum health. Both those sets offer a lot of extra damage mitigation. Impregnable Armor can be used in Champion Points campaign as people have higher critical rating there compared to Non Champion Points, where Fortified Brass comes into play. Those sets help a lot in terms of tankiness, especially because people will focus on you as you are the biggest and most dangerous enemy in the area! The Master's Dagger also has its niche uses as a Werewolf. It can be utilized as a overall group boost because the set applies Minor Fracture and Minor Breach with a heavy attack, on top of that it can also porc the burning status effect on enemies, especially helpful on a Dragonknight which can then again proc the Combustion passive. The good thing with this set, you can front bar this set only and you can still keep a 100% uptime of the debuffs from the set. Prisoner's Rags is a very strong set for Werewolves as it adds a lot of extra magicka recovery and recovery in general, which is needed to activate our sole heal Hircine’s Rage/Fortitude. It takes time to get used to it, but once mastered you can find a sweet spot between sprinting and regaining magicka. The Troll King is one a very strong PvP Monster Set for Werewolves. Werewolves lack heals and this set can help with that as it adds a lot of extra health recovery, making it more difficult for enemies to kill you. Balorgh has one purpose, burst down enemies in the first 10 seconds of the transformation, as it can add up to 1000 flat Weapon Damage which can be boosted again with modifiers. If you meet an enemy Werewolf with Balorgh, I recommend running the other way as long as the set is active. Molag Kena is usually not seen often as it makes sustain quite difficult. However, a Werewolf focusing on Light Attack damage only can make this Monster Set work like a charm as the extra Weapon Damage will boost your Light Attack by a huge junk, just make sure to keep your stamina in check if you use abilities while this set is active. There are a lot of other very useful set combinations, those here are just some examples! Easiest way to become Werewolf is either ask a friend or ask in a guild you are part in for a “Werewolf bite”. You can also try to get infected by Werewolf NPCs in a specific location, tho that is way more complicated than just asking someone in a guild to get a bite. 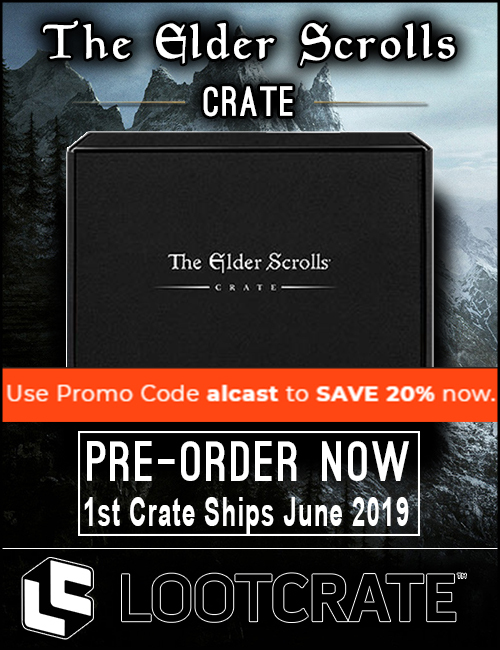 You can also buy the perk in the Crown Store for 1500 Crowns, which is way too overpriced in my opinion. You can cure Lycanthropy at any time by talking to “Prelate Sabinus”. He is found at the Mages guild of every faction (in Rawl’kha, Evermore, or Riften). If you later decide you want to be a Werewolf again you will have to get reinfected. All skills you unlocked will still be there so you can continue your progress. 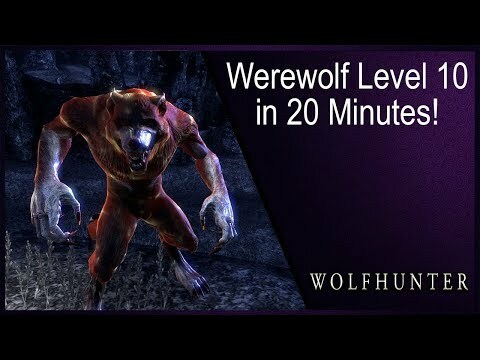 Leveling up Werewolf takes about 20 minutes, it is quite easy to level up since you can now devour enemies from level 1 Werewolf. To level up Werewolf, you need to kill as much enemies as possible, amount of experience does not matter, only the amount of enemies you kill matters. Therefore you want to find a place with enemies that have low health or die with one or two hits. Make sure to get the Blood Rage passive as fast as possible so you gain werewolf time by killing enemies. Like you can see in the video, we are in Couldharbour somewhere middle south in a place called The Vile Laboratory, just kill all the mobs and make sure your Werewolf Timer does not run out. If you are looking for more leveling spots, you can also check out my ESO Grind Guide which has a lot of other spots available! Light Attacks are your main tool for damage as a Werewolf, use abilities only in the right moments to gain advantage. Use Heavy Attacks to restore a lot of stamina in one hit. Dodgeroll or block hard hitting enemy attacks in the right moments, but do not spam dodgeroll or permablock, otherwise you will end up with 0 stamina quite fast. You can stay in Werewolf infinitely with several Werewolves in your group. Make sure to have enough magicka to be able to use Hircine’s Rage for healing. Be friendly and bite your fellow players for free if they are looking for a bite. Playing a Werewolf can be hard at the beginning, it will take quite some time till you master it! Thanks for reading the Werewolf Guide ESO!